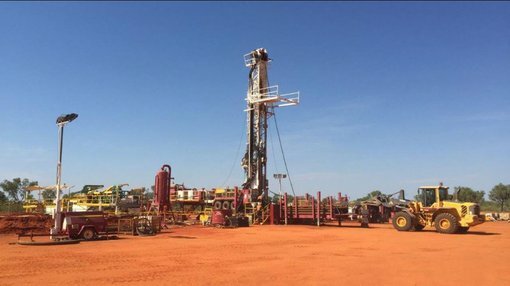 Rey Resources’ (ASX:REY) Canning Basin adventure continues to roll on, with joint venture partner Buru Energy (ASX:BRU) confirming that it had spud in at Senagi-1. In an afternoon release to the market, Buru said that it spud the well using the DDHI Rig-31 and would be targeting shallow conventional oil and gas down to 1200m. The well is targeting both oil and gas from the Lower Laurel formation and will take about 28 days to drill. The target was selected after Placer Exploration drilled a well about 1.1km away back in 1989. 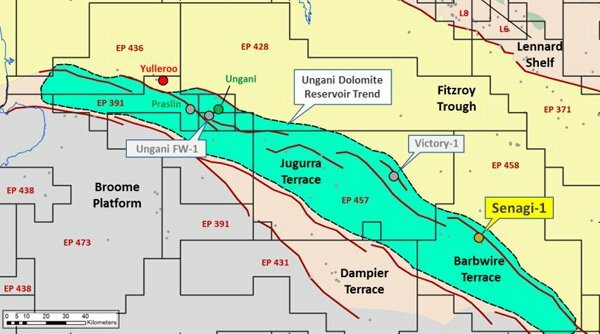 The minerals explorer was looking for lead-zinc mineralisation, but instead found “vuggy carbonate reservoirs” with strong oil shows in cores. Senagi-1 is the third well in Buru’s Ungani Trend program, where REY is the junior partner with a 25% equity stake. BRU is seeking to boost future oil production in the Ungani area, with its Ungani oil field 44km to the north west. Buru is currently producing 1250 barrels of oil per day from the Ungani discovery, and is hoping to ramp up that production into the future by making more oil discoveries in the region. Meanwhile, it also confirmed a slight delay at previous well Victory-1. It said technical issues with the casing would delay drilling by about three days.